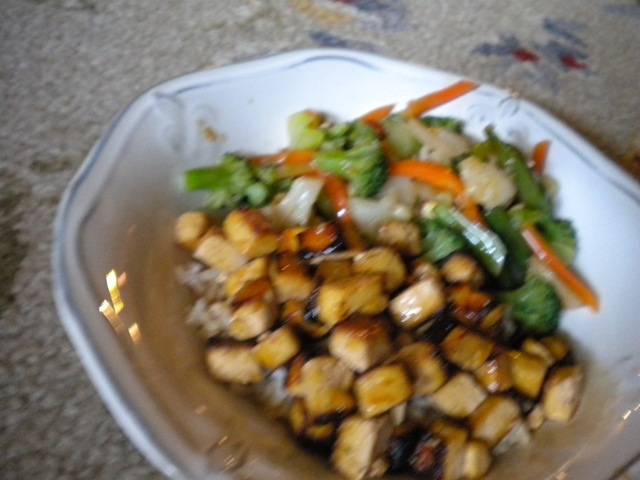 Teriyaki Tofu – Helen, Naturally! I was raised in a meat and potatoes type of family. I mean we had a huge garden so veggies were also frequently on the table, but a meat and potatoes family none the less. Of course the only difference was that my family raised their own “meat” for years, we didn’t have to worry about steroids and hormones….. I married a meat and potatoes kind of guy. No seriously he is. As in he orders a rib eye every time we go out to eat. I do mean every time. Going to Olive Garden – he gets steak gorgonzola. 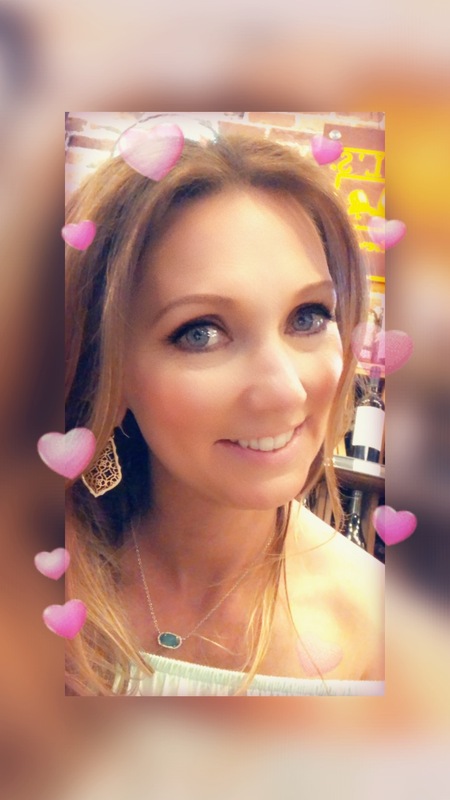 Going to the Mexican restaurant – don’t be surprised if he orders the steak, but if he doesn’t he will order some steak dish. So of course he refused to try my latest dinner adventures. Oh he was just fine with the vegetables and the rice. I could even convince him to use the Teriyaki sauce. The tofu on the other hand….that was a no go! Now I have to be honest. I am not the biggest tofu person myself. Yes, I eat it occasionally but mainly in restaurants. I have cooked it at the house once or twice but never the same. I am intimidated by it. That was until I got my hands on the book! If you do not know what book I am talking about go here to check it out. First thing is to press the tofu. This is really simple. Do not be intimidated. Place a dish towel over your cutting board, place the drained tofu on towel, then place another towel over the tofu. Now pile on the heavy stuff. I use two cast iron skillets and like four cook books. Let it sit for a minimum of 20 minutes. I try to leave it on for around an hour. The longer you press, the firmer the tofu will be. Place the teriyaki sauce and vegetable broth in a measuring cup and mix together. Once the tofu has been pressed, place in a bowl, pour the sauce over the top, and allow it to marinate a minimum of 30 minutes. It is best if marinated overnight. Preheat broiler. Cover your pan with aluminum foil and spray with non stick spray – easy clean up! 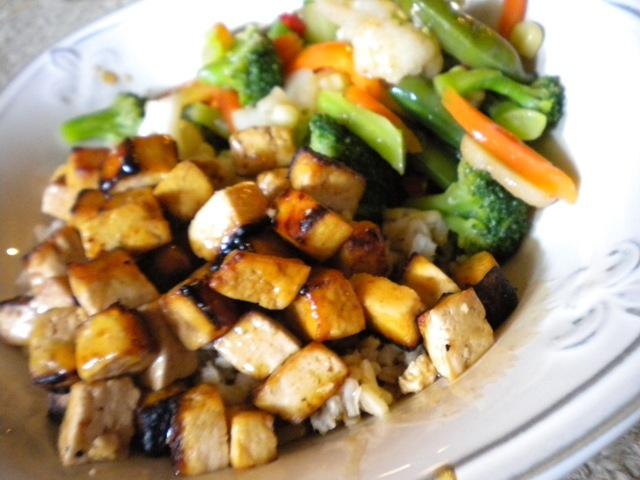 Using a slotted spoon, remove tofu from sauce and place on tray (save the marinade). Broil on hi a few minutes on each side until you get a “charred” look on the pieces. 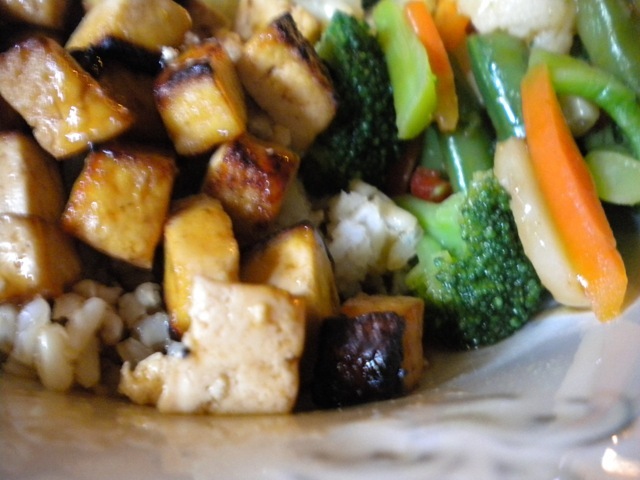 While your tofu is broiling, place veggies in a microwave safe bowl with 2T water. Micro for 3.5 minutes. Stir and place back in microwave for another 3.5 minutes. Drain. 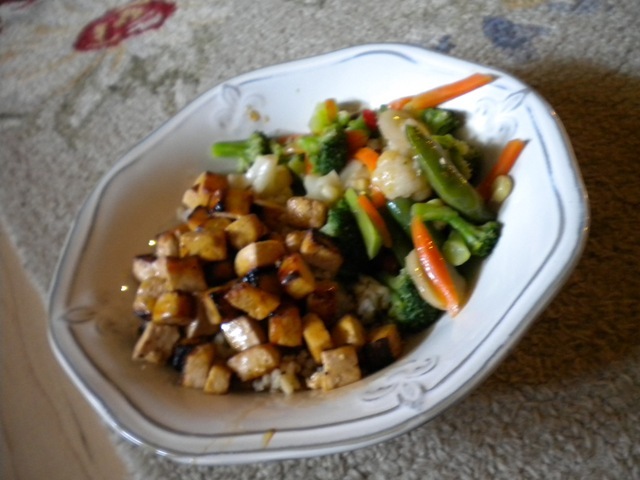 Now place some rice, veggies, and tofu in our serving bowl, drizzle with left over marinade. Dinner is served. If you pre-pressed/marinated the night before then guess what. You literally have dinner ready in 10 minutes. Yep, 10 minutes – now who doesn’t love that! I can see this making it’s way into my dinner rotation. I am not sure what the hubster will do. Does any one have any steaks lying around? Hehe, sounds like my kiddos! I try to stick with meats that I know come from a good source a much as possible! I eat quite a bit of tofu – i’ve been a vegetarian for a long time – and it basically comes down to what you put on it and how you cook it! This looks like a delicious way! Well, done. I don’t love tofu. Well, unless it’s crispy and deep-fried. But then, EVERYTHING tastes great when it’s crispy and deep-fried! I’ve never been able to cook an edible tofu dish. Yours looks good! I was the same way until the broiler method! Brown rice? Ick 😦 hehe I like the white kind best. My mom actually eats this kind that’s kind of a dark purple color. I’m not sure what it’s called but she said it’s healthier than brown rice. I can’t think of the name but I have heard of that rice. Unfortunate we can’t get it here so I can’t try it. Yummm I made something similar, with tempeh, and it was delicious! I need to try this recipe!